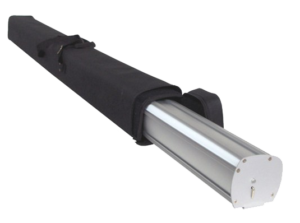 Why not promote your business with an eye-catching pop up roller banner. 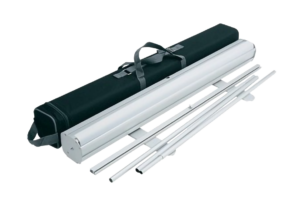 Our banners come supplied in carry cases. This makes going to and from your venue very easy and hassle free. The banners can be assembled in a couple of minutes, and dismantled as quickly. Call our team, or pop in to see one in action! If you wish to supply your own artwork, the print size is 850mm x 2000mm with 3mm bleed. This should be supplied as a print ready PDF. If you would like us to create something for you, then please contact the sales team for assistance.